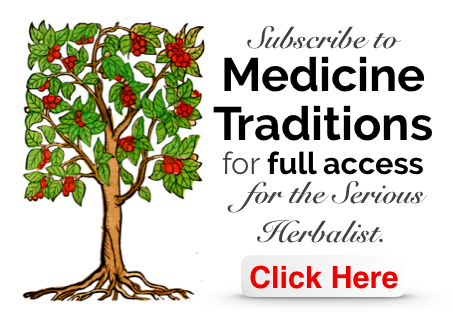 Collecting herbs correctly has a big impact on the efficacy of them as medicines. First, and perhaps most importantly, the Herb must be identified correctly. Then, the correct time of collecting has to be known, followed by the correct way of drying and keeping the Herb. The following is taken from Culpepers English Physicians Enlarged, with some commentary. 1. Of leaves, choose only such as are green and full of Juice; pick them carefully, and cast away such as are any way declining, for they will putrify the rest: So shall one Handful be worth ten of those you buy in Cheapside. 2. Note in what Places they most delight to grow in, and gather them there; for Betony that grows in the Shade, is far better than that which grows in the Sun; because it delights in the Shade; so also such Herbs as delight to grow near the Water, let such be gathered as grow near the Water, though happily you may find some of them upon dry Ground; the Treatise will inform you where every Herb delights to grow. 3. 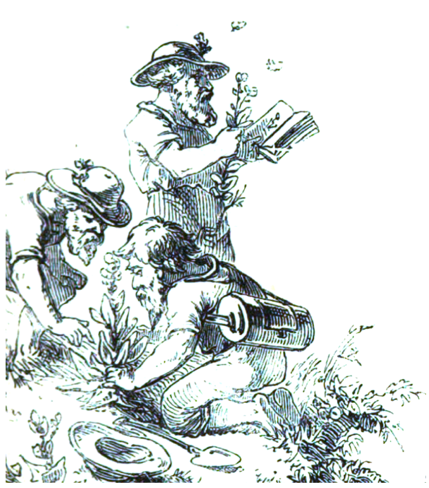 The Leaves of such Herbs as run up to Seed, are not so good when they are in Flower as before (some few excepted, the Leaves of which are seldom or never used) in such Cases, if through Ignorance they were not known, or through Negligence forgotten, you had better take the Top and the Flowers, than the Leaf. 4. Dry them well in the Sun, and not in the Shade, as the Swing of Physicians is; for if the Sun draw away the Virtues of the Herb, it must needs do the like by Hay, by the fame Rule, which the Experience of every Country Farmer will explode for a notable Piece of Nonsense. good Aspect, and let her not be in the Houses of her Enemies; if you cannot well stay till she apply to them, let her apply to a Planet of the same Triplicity; if you cannot wait that Time neither, let her be with a fixed Star of their Nature. 6. Having well dried them, put them up in Brown Paper, sewing the Paper up like a Sack, and press them not too hard together, and keep them in a dry Place near the Fire. Yet this I say, by this you may know when they are corrupted, viz., by their Loss of Colour, or Smell, or both; and if they be corrupted, Reason will tell you that they must needs corrupt the Bodies of those People that take them. 8. Gather all Leaves in the Hour of that Planet that governs them. Always gather leaves in their Prime, preferably before flowering in the morning after the dew has dried from them. All herbs are superior when they grow where they most prefer, and that is the main reason why Wildcrafted Herbs are preferable to Farmed Herbs. Once a Herb is in Flower or beginning to Seed, the focus of its energy is no longer in the Leaf. At the beginning of Spring, the leaves are far more Vital. Delicate Aromatic Herbs will best best dried in the Shade, whereas cool herbs that are full of moisture are better dried more quickly in the Sun. Culpeper is writing for the English Summer, far milder than many other countries. Herbs should be gathered in relation to the Moon and Planets for optimal effect. Storing Dried herbs in a cool, dry, dark place with little air will help them retain their virtues longest. There is much variance in how long a herb will keep, due to both the Herb and the keeping conditions. All Herbs will keep a year, kept well, many will keep at least a couple of years. Each Planet is associated with an Hour of the Day, so the Hour associated with the Herb can be chosen for harvest, although this is not always best. For example, if the time falls in the middle of a Summer afternoon, this is never the best time to collect Leaves. 1. The Flower, which is the Beauty of the Plant, and of none of the least Use in Physick, groweth yearly, and is to be gathered when it is in his Prime. 2. As for the Time of gathering them, let the Planetary Hour, and the Plant they come of, be observed, as we shewed you in the foregoing Chapter; as for the Time of the Day, let it be when the Sun shines upon them, that so they may be dry; for if you gather either Flowers or Herbs when they are wet or dewy, they will not keep; and this I forgot before. 3. Dry them well in the Sun, and keep them in Papers near the Fire, as shewed you in the foregoing Chapter. 4. So long as they retain the Colour and Smell, they are good, either of them being gone, so is their Virtue also. Some Flowers are gathered while in bud before opening, others just after opening, but all when at their strongest and most perfect. Delicate, aromatic flowers are best dried in the shade or their fragrance will be lost. 1. The Seed is that Part of the Plant which is endowed with a vital Faculty to bring forth its like, and it contains potentially the whole Plant in it. 2. As for Place, let them be gathered from the Place where they delight to grow. 3. Let them be full ripe when they are gathered; and for get not the Celestial Harmony before-mentioned, for I have sound by Experience that their Virtues are twice as great at such Times as others: There is an appointed Time for every Thing under the Sun. 4. When you have gathered them, dry them a little, and but a little in the Sun before you lay them up. 5. You need not be so careful of keeping them so near the Fire, as the other before-mentioned, because they are fuller of Spirit, and therefore not so subject. to corrupt. 6. As for the Time of their Duration, 'tis palpable they will keep a good many Years; yet this I say, they are the best the first Year, and this I make appear by a good Argument. They will grow the soonest the first Year they be set, therefore then they are in their Prime, and 'tis an easy Matter to renew them yearly. The Seed, being the reproductive part of the plant, have long been used to help our procreation. Seeds should be gathered fully ripe; in some cases seed pods can be collected just before opening, and allowing final maturity once collected. Very Oily seeds, such as the Cold Seeds, are more apt to corrupt; small seeds and those with hard coatings keep better. That seeds are more potent within the first year and are best replaced annually is logical, but seeds in general keep several years. 1. Of Roots, choose such as are neither Rotten, nor Worm-eaten, but proper in their Taste, Colour and Smell; such as exceed neither in Softness nor Hardness. 3. The drier Time you gather the Roots in, the better they are; for they have the less excrementitious Moisture in them. 4. Such Roots as are soft, your best Way is to dry in the Sun, or else hang them in the Chimney Corner, upon a String; as for such as are hard, you may dry them any where. 5. Such Roots as are great, will keep longer than such as are small; yet most of them will keep a Year. 6. Such Roots as are soft, it is your best Way to keep them always near the Fire, and to take this general Rule for it; if in Winter-time you find any of your Roots, Herbs or Flowers begin to be moist, as many Times you shall, especially in the Winter-time (for 'tis your best Way to look to them once a Month) dry them by a very gentle Fire; or if you can with Convenience keep them near the Fire, you may save yourself the Labour. 7. It is in vain to dry Roots as may commonly be had, as Parsley, Fennel, Plaintain, &c. but gather them only for present Need. Roots should be firm, healthy, and collected from ground not overly wet, excepting for water and swamp plants. While it is true the 'Essence' of the plant returns to the root over Winter, it is not active and lies dormant, as Culpeper notes. Many roots can be collected at the start of Spring before the leave grow too big and as the fresh rush of new energy rises from the root. Some roots, such as the Aconites, are collected Mid-Summer when their Yang energy is believed to be most potent. Drying roots quickly retains their virtue best. Therefore, if the root is gathered after rain or from wet round, the moisture will take so long to dry that the strength of the root may be lost. In practice, fatter roots are better to be well washed, peeled if need be, then sliced and dried in a low oven. Drying is nearly always done because the fresh herb isn't available. When the freshly gathered root or herb is available, it is always superior. 1. Barks, which Physicians use in Medicines, are of these Sorts: Of Fruits, of Roots, of Boughs. 2. The Bark of Fruits are to be taken when the Fruit is full ripe, as Oranges, Lemons, &c. but because I have nothing to do with Exoticks here, I pass them without any more Words. 3. The Barks of Trees are best gathered in the Spring, if it be of great Trees, as Oaks, or the like; because then they come easier off, and so you may dry them if you please; but indeed the belt Way is to gather all Barks only for present Use. 4. As for the Bark of Roots, 'tis this, and thus to be gotten. Take the Roots of such Herbs as have a Pith in them, as Parsley, Fennel, &c. slit them in the Middle, and when you have taken out the Pith (which you may easily and soon do) that which remains is called (tho' something improperly) the Bark, and indeed is only to be used. Fruit peel is gathered from ripe fruit, peeled, and dried. In the case of Citrus, the white pith is scraped off first. The Pith of roots is generally removed unless the roots are small in which case the whole root can be dried. 1. Juices are to be pressed out of Herbs when they are young and tender, and also out of some Stalks; and tender Tops of Herbs and Plants, and also out of some Flowers. 2. Having gathered the Herb, you would preserve the Juice of, when it is very dry (for otherwise the Juice will not be worth a Button) bruise it very well in a Stone Mortar with a Wooden Pestle, then having put it into a Canvas Bag, the Herb I mean, not the Mortar, for that will give but little Juice, press it hard in a Press; then take the Juice and clarify it. 4. When you have thus clarified it, you have two Ways to preserve it all the Year. First, When it is cold, put it into a Glass, and put so much Oil on it as will cover it to the Thickness of two Fingers, the Oil will swim at the Top, and so keep the Air from coming to putrefy it; when you intend to use it, do no more but so; pour out into a Porringer a little more than you intend to use, and if any Oil. come out with it, (as if the Glass be not full, 'tis an hundred to one if there do) you may easily scum it off with a Spoon, and put the Juice you use not into the Glass again, it will quickly sink under the Oil, This is the first Way. Secondly, The second Way is a little more difficult, and the Juice of Fruits is usually preserved this Way. When you have clarified the Juice as before, boil it over the Fire till (being cold) it be of the Thickness of Honey: This is most commonly used for Diseases of the Mouth, and is called Roba and Saba. The herb should be in its prime when collected, early in the morning when still full of juice. Culpeper here refers to the environment being dry, not the herb. For a dry Herb will give no juice. Modern juice extractors can be used to collect Juice. Juice is clarified by gently heating until no more scum arises. Some clarified by leaving the juice to settle in a jar let in the sun. Covering the concentrated juice with oil prevents oxidation and will preserve it well. Boiling the juice down longer is best done using a Water Bath to avoid burning. Sometimes Honey or Sugar is added to make a thick Syrup of the Juice; either way it will keep.